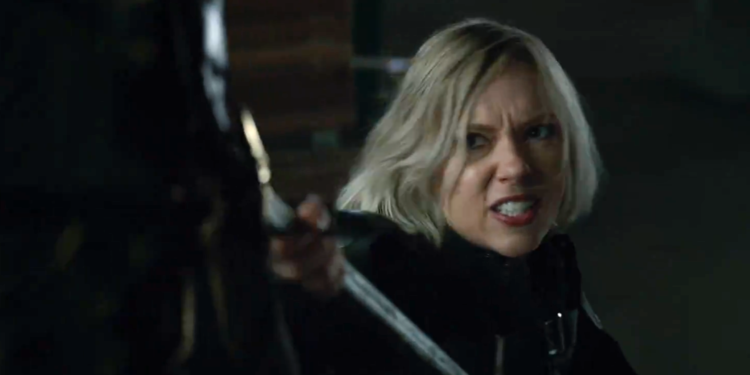 It's taken years for fans to finally get the Black Widow movie they've been asking for, and Marvel is going to extreme lengths to make sure the wait was worth it. While Jac Schaeffer has already been hired to pen the script, and a trio of top notch directors have apparently been spoken to, Variety's Justin Kroll says the director search is much broader than that. By dozens. The directors we know about are Amma Asante (Belle), Chloe Zhao (The Rider), and Deniz Gamze Erguven (Kings), so at least we know 3 of the 65 are female. Presumably most of the others are, too, but clearly Marvel is talking to some male filmmakers for the job. Here's hoping they go with the best choice regardless of gender. Following the events of Avengers: Infinity War and Avengers 4 there may be some questions as to where a Black Widow movie could go. A prequel has already been rumored, which would be perfect if she were to meet her tragic end. It's also suggested that it may be a teamup movie, with Sebastian Stan's Winter Soldier mentioned as a potential partner. Personally I'd rather see what she can do on her own because Widow has so rarely had the spotlight, but if not then why not make it an unusual duo? Like Black Widow and Scarlet Witch? That could be weird and fun.